Mister Rogers arrives with a wooden pentagon which he describes by counting the sides. Moving to Picture-Picture, Mister Rogers shows viewers a very short film about fish before deciding to look at the fish in his own aquarium. In doing so, he notices a dead fish laying at the bottom. Mister Rogers carefully removes the fish and attempts to revive it with salt water. Unfortunately, the fish does not respond. Using a paper towel to wrap the fish, Mister Rogers prepares to bury it in his yard. Quietly moving outside, Mister Rogers finds a spot to lay the fish to rest. He then reflects on the sad feelings he had as a child when his dog died and the difficulty he had in saying goodbye to his pet. Back inside, Mister Rogers talks about his memories of his dog and shows a picture of her to viewers before singing Sometimes People Are Good ("Sometimes people get sad"). 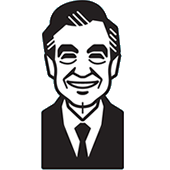 Heading into a time of make-believe, Mister Rogers lifts up the Trolley to show its wheels. 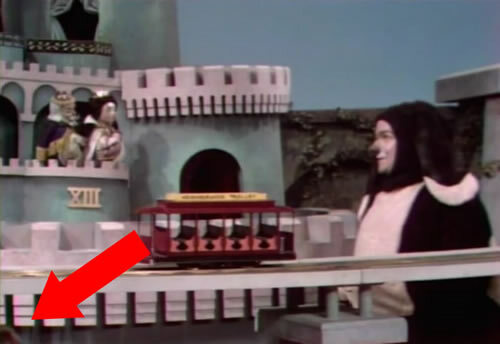 In the Neighborhood of Make-Believe, Lady Aberlin and Bob Dog become concerned when the Trolley stops moving. Dr. Bill Platypus is brought to the track to check on the Trolley and determines that the Trolley simply had a wheel come off the track. Back at the house, Bob Trow helps Mister Rogers use the wooden pentagon to create a marker for the spot where the fish was buried. Inside, Mister Rogers sings Some Things I Don't Understand and talks about this importance of talking about your feelings and how everyone responds differently to sad feelings. Done through the death of a fish, Mister Rogers calmly teaches young viewers how to deal with the grief they may encounter through losing a pet or even a loved one. Mister Rogers never directly instructs viewers that talking about their loss and sharing memories is a way to help them through the grieving process -- he simply does it. Returning from outside, he talks about his pet dog which died when he was a boy. Mentioning his sadness over the loss, Mister Rogers then moves on to the positive memories he has of his pet -- even showing a picture of his dog which he has kept. As usual, Mister Rogers does not tell viewers what they should do -- instead he teaches by example. Just before Dr. Bill appears at the castle, Bill Barker's head is caught in the lower left corner of the camera shot. This episode is included on the Helping Children Understand video disc and on the VHS release Death of a Goldfish. Several long clips from this episode were also used in the VHS release Talking with Young Children About Death. Around the time of Mister Rogers' Neigborhood's 50th anniversary (February 2018), this episode was aired along with the premiere of Daniel Tiger's Neighborhood Episode 320 in which Daniel's own goldfish dies. Produced by WQED Pittsburgh, Pennsylvania in association with Small World Enterpriese, Inc. for N.E.T. Production funds for this television visit were provided by a grant from the Sears-Roebuck Foundation and a children's program fund established by N.E.T. affiliated stations.